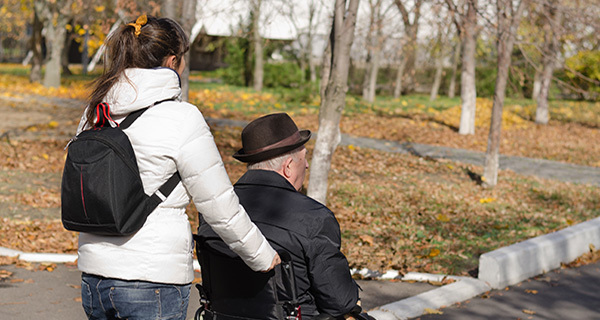 New research launched for Carers Week 2016 has found that a lack of understanding about caring roles from the overall community has a negative effect on the health, wellbeing, relationships and finances of unpaid carers. The research also found that over half of carers have let a health problem go untreated, 66% gave up work or reduced their hours and 47% have struggled financially. Carers save the UK around £130 billion a year, according to a recent study by the University of Leeds.You are a carer if you care, unpaid, for a friend or family member who due to illness, disability, a mental health problem or an addiction cannot cope without your support. Caring affects all age-groups from young carers all the way through to people aged 80 and above, and as our population continues to age, it is estimated that there will be more than 760,000 carers aged over 80 within the next 15 years. Simon Hopkins, Chief Executive of Turn2us said: “This new research highlights not only the huge contribution that carers make, but also how a worrying lack of support is affecting their life chances. Just under half of carers have struggled financially – this echoes what we hear on a daily basis, with many carers telling us they’re struggling to buy food for their families, or are finding themselves increasingly in debt. "There is often a lack of awareness of what support is available amongst carers and other people in financial need, and sometimes a feeling that this support might not be for them. We recently found that nearly half of low income households are not claiming the welfare support they could qualify for, with 57% believing they would not be eligible. If you are a carer, the ‘Carers’ section on our website has information about help you may be able to get if you are struggling financially. This includes information on Carers' Allowance and Carer's Credit. You can also check your entitlement using our Benefits Calculator or find out whether you are eligible for charitable grant using our Grants Search. The Turn2us Your Situation section contains resources such as managing money, including useful links and a Find an Adviser tool to help you find national and local sources of further help. "We were just about getting by financially on my salary and the Disability Living Allowance we received for my partner and son. "However everything changed when I became ill and was unable to work for over six months. We struggled to try and get by on the sick pay I received at just £80 per week. As the bills mounted, I started to panic – there was more money going out than coming in. We got further in to debt and even considered going in to bankruptcy as our suppliers threatened to take us to court. "We were desperate for help so started to look on money saving websites to see what we could find. That’s when I came across Turn2us, so I decided to give it a try. "I used the Benefits Calculator which told me we were eligible for several benefits – Income Support and Carer’s Allowance. I never realised we might be able to claim these, but was able to make a successful application.